The infrared absorption cross-sections for eight commonly used halogenated methanes and ethanes have been measured as a function of temperature from 203 to 293 K. High resolution spectra (0.03 cm-1) have been used to derive integrated band strengths and peak cross-sections associated with the spectral features in the infrared region from 600 to 1500 cm-2. 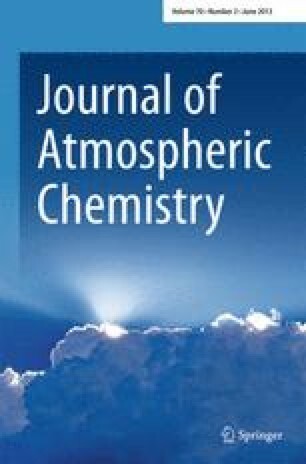 The values obtained in this study are compared to those from previous reports, and recommendations are made for uses in atmospheric sensing and radiative energy transfer models. The observed temperature dependence in the spectral features is also discussed. 1.Atmospheric Kinetics and Photochemistry Group, Atmospheric Chemistry DivisionNational Center for Atmospheric ResearchBoulderU.S.A.